It’s becoming more imperative to look at all the ways we can use scientific data to recover information and make it available in the digital form because sadly, natural disasters and all the conflict zones around the world have led to heartbreaking losses of cultural heritage. 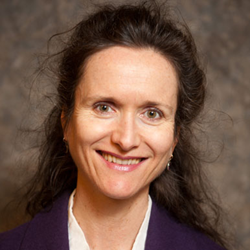 The Pittcon Program Committee is extremely pleased to announce that Fenella France, Chief of the Preservation Research and Testing Division at the Library of Congress, will deliver the 2019 Plenary Lecture. Dr. France researches non-destructive imaging techniques, and prevention of environmental degradation to collections. Her current focus is the development of spectral imaging and image processing techniques, and increasing links and access between scientific and scholarly data, developing and providing training workshops to preservation professionals. Dr. France received her Ph.D. from Otago University, New Zealand. After lecturing at Otago, she was the research scientist for the Star-Spangled Banner project at the Smithsonian Institution. An international specialist on polymer aging and environmental deterioration to cultural objects, she focuses on links between mechanical and chemical properties and changes from environment and treatments. Dr. France has worked on projects including the World Trade Centre Artifacts, Pre-Columbian mummies and textiles, the Ellis Island Immigration Museum, and lighting standards for the preservation of cultural heritage. She serves on a range of professional committees for preservation and maintains close links and collaborations with colleagues from academic, cultural, forensic and federal institutions. Her lecture, “Preserving and Revealing History – Challenges of a Cultural Heritage Scientist,” will take place during Pittcon 2019 on Tuesday, March 19 at 5:00 pm, with a happy hour at Pub Pittcon immediately following.